I am always open to new opportunities in consulting or taking on new freelance projects. 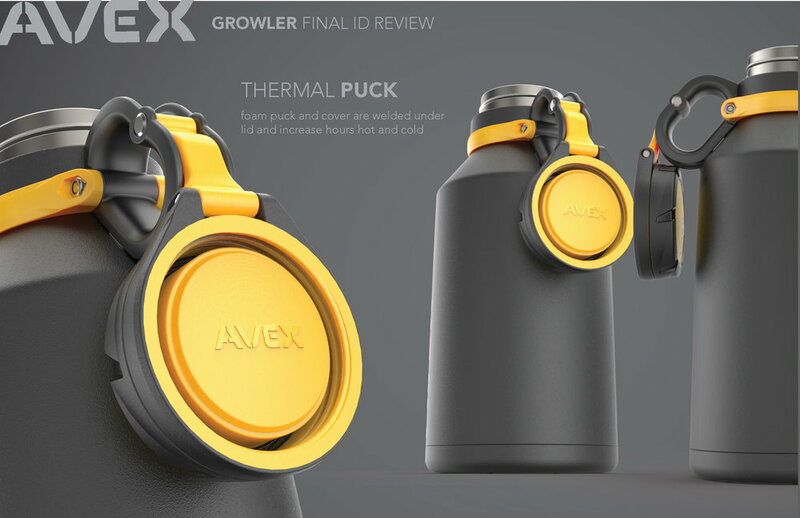 The AVEX Growler was developed in line with the suit of new AVEX products. Lids bodies and accessories were developed to be fullyl interchangeable. This 60oz bottle and handle are the largest in the family of products. 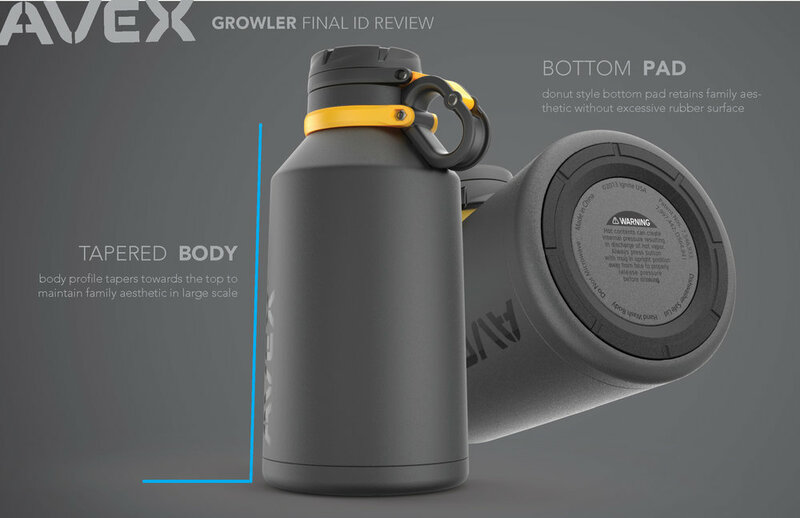 Perfect for bringing home a large serving from your favorite brewery, or one huge coffee for your next cross country road trip.